Meek Mill has been sentenced to 2 years in prison after a Philadelphia judge ruled that he violated his probation. 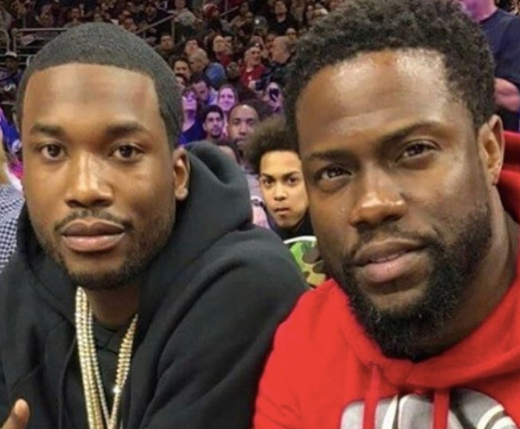 Reacting to the judgement, comedian Kevin Hart took to Instagram to say, 'praying for my brother @meekmill right now. God sometimes puts the toughest battles on his strongest soldiers. I'm here for you man!!!! My brother for life. Always here for you man!!! This storm will pass...Stay strong and keep your head up'. Meek Mill was arrested in March for misdemeanor assault charges, and again in August for reckless driving and reckless endangerment. Charges from both of those incidents were dropped, but the incidents led to yesterday's court date to review whether or not he had violated his probation.